Tampa Bay’s complex transportation problems require comprehensive, multimodal solutions. With Tampa Bay Next, FDOT’s interstate planning is fully integrated with transit planning. Why do we need transit? The Tampa Bay area is the 5th fastest-growing metropolitan area in the nation, with approximately 58,000 people moving here in 2016. (View Source) Traffic congestion continues to be the number one concern for our community and the solution requires a multimodal approach. Transit provides a viable alternative to driving, and a robust transit system also provides residents and visitors with safe, reliable and convenient mobility choices. Beyond transportation solutions, transit offers opportunities for regional and local transit-oriented development (TOD) so travelers also have the choice to make trips by car, transit, bicycling or walking. If we improve transit, why do we still need road projects? While transit is a viable mobility option, it cannot solve congestion on its own. Even cities with premier transit systems continue to require highway capacity projects to accommodate growth. In major metro areas, transit services typically attract between 5-10% of total travelers.  For an interstate like I-275, where approximately 200,000 vehicles per day travel, a robust transit service could have a substantial impact by taking 10,000-20,000 vehicles off the road. But, with the current interstate system already over capacity, and with growth forecasts predicting approximately 298,000 vehicles per day by 2040, our road system would still be congested even if we had the highest transit ridership percentages in the nation. That’s why Tampa Bay Next is focused on a comprehensive set of multimodal solutions. Click here to view and download the latest fact sheet for Transit. 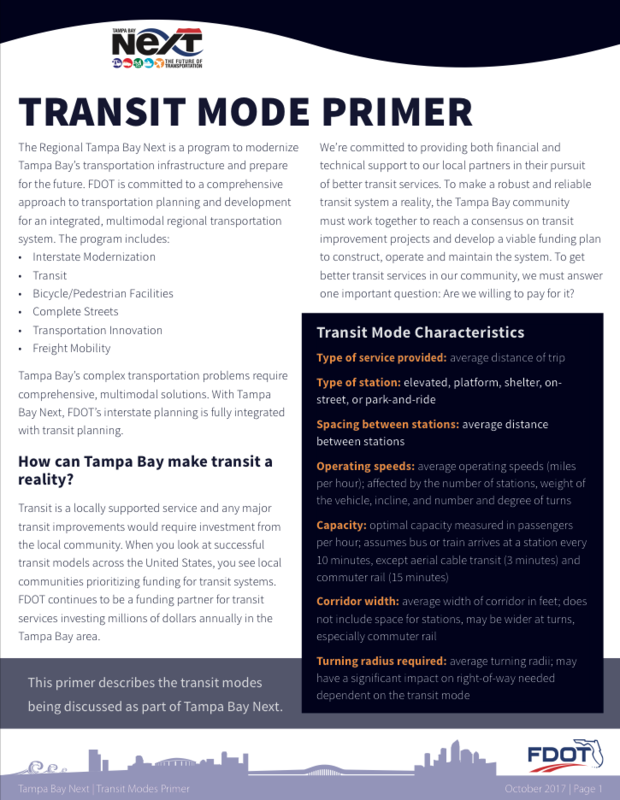 This primer describes the transit modes being discussed as part of Tampa Bay Next. How can Tampa Bay make transit a reality? Transit is a locally supported service and any major transit improvements would require investment from the local community. When you look at successful transit models across the United States, you see local communities prioritizing funding for transit systems. FDOT continues to be a funding partner for transit services investing millions of dollars annually in the Tampa Bay area. We’re committed to providing both financial and technical support to our local partners in their pursuit of better transit services. To make a robust and reliable transit system a reality, the Tampa Bay community must work together to reach a consensus on transit improvement projects and develop a viable funding plan to construct, operate and maintain the system. To get better transit services in our community, we must answer one important question: Are we willing to pay for it? According to the U.S. Census Bureau, about 5.2 percent of all U.S. workers commute on transit (including bus, rail, ferry and vanpool). 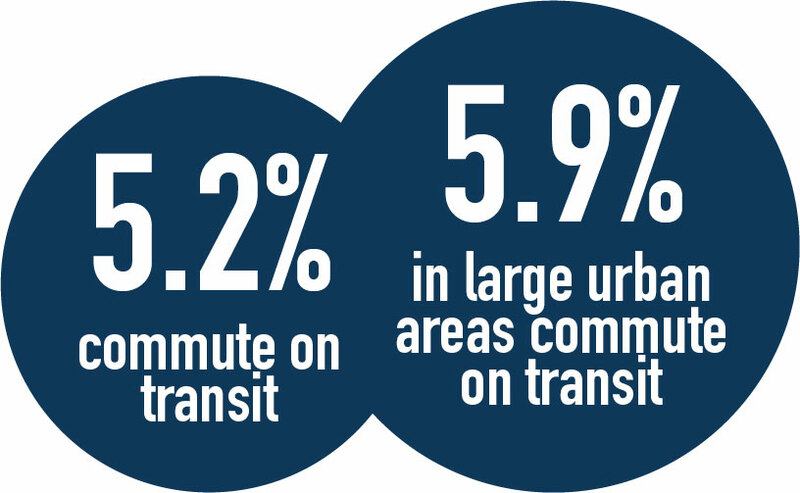 In large urban areas, the number of commuters using transit is about 5.9 percent.